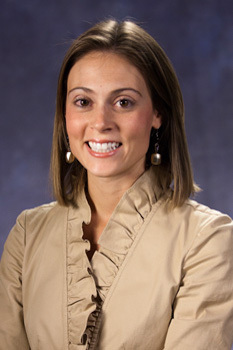 Jennifer L. Eury, Ph.D. is a clinical assistant professor of management and organization at the Smeal College of Business, and an affiliate faculty member in the Rock Ethics Institute at Penn State. She is responsible for the development and teaching of the core management course in the Smeal College Business Fundamentals Certificate program. In addition to her involvement with the Certificate program, she is responsible for a combination of undergraduate and graduate teaching and service activities on behalf of the Management & Organization Department. She teaches courses in management and organization, ethical leadership, and leadership and change in organizations. She is also the faculty advisor to the Professional Management Association student organization. During the 2018-2019 academic year, she is also serving as a Student Engagement Fellow in the Faculty Academy at Penn State. Prior to joining the Smeal faculty on a full-time basis, Jennifer served as Smeal’s honor and integrity director and an instructor in management and organization from January 2014 to June 2017. She was responsible for the college’s honor and integrity initiatives, including marketing and communications, training and orientation, and policy execution and implementation. Jennifer also served as Smeal’s director of alumni relations from June 2008 to December 2013, where she was responsible for engaging the college’s alumni community, now more than 75,000 members strong, and serving on the Advisory Council for the Association of Business Schools Alumni Professionals (2012-2013). Since joining the University in 2005, she has also worked for the Undergraduate Admissions Office as an admissions officer and writer for the marketing and recruitment team, and for the Geography Department as the public relations coordinator. Currently, Jennifer serves on the Advisory Council for Continued Excellence in Penn State’s Office of Ethics & Compliance. Furthermore, she serves on the steering committee for the Partners in Business Ethics Symposium, an initiative designed for a wide-range of business schools and companies, promoting business ethics in academia and corporate America. Through the symposium, corporate leaders, business school deans, and thought leaders in business ethics, share ideas, challenges, and best practices in preparing young professionals to lead with integrity in today’s workplace. Jennifer is a past chair and founding member of the Smeal Women’s Network (formerly Women of Smeal Initiative Steering Committee), a group that aims to extend college-wide awareness of events and activities and create new opportunities that promote and develop women as leaders. She is also a past advisory board member to the Athletic Director’s Leadership Institute at Penn State. Outside of Penn State, she recently served as the chair of the Judicial Committee for USA Olympic Shooting. In addition to her service activities, Jennifer is interested in studying individuals’ and organizations’ responses to identity threat, and organizational culture, specifically how culture can foster integrity and ethical behavior. Most recently, she has studied alumni responses to the 2011 Jerry Sandusky scandal at Penn State, and her research is published in the Academy of Management Journal. She has also presented at professional meetings, including the Annual Meeting of the Academy of Management, and is a member of the Academy of Management. Jennifer received her Ph.D. in higher education, master of science in business administration, master of education in higher education, and bachelor of arts in advertising-public relations, all from Penn State. She is also a proud alumna of the Penn State Lionettes Dance Team. She and her husband and their son reside in State College, Pennsylvania. My research interests include individuals’ and organizations’ responses to identity threat, and organizational culture, specifically how culture can foster integrity and ethical behavior. The objective of the ethical leadership course is to raise awareness of the key role played as a manager and leader in creating and maintaining responsible business conduct in work groups and organizations. The course is also intended to enhance the student's ability to deal with the complexities of ethical decision making in today's dynamic business environment by clarifying and applying personal values. BA 304 is an overview of a body of knowledge that exists concerning the management of modern organizations. Management is critical to business success no matter the industry, the field or the arena. Eight key functions for any manager will be covered - organizational structure, operations, staffing, recruitment, leadership, culture and ethics, planning, and innovative and responsible practices. A key take away for BA 304 is the difference between leadership and management and what do these terms mean. In recent years the focus has been on leadership as the preferred ability to strive for with management skills losing favor. In general, it has been said that leaders focus on "doing the right things" and managers focus on "doing things right". This will be a theme for review and discussion throughout the course as each subject area is covered. A student may not receive credit towards graduation for both B A 304 and MGMT 100 or MGMT 100W. Furthermore, a student may not receive credit towards graduation for both B A 304 and MGMT 301 or MGMT 301W. MGMT 301 exposes undergraduate students to the fundamental principles and basic concepts of management, with emphasis on organizational design, management processes, leadership, motivation, and managing teams and individuals in a global business environment. Understanding these principles and concepts is extremely important for students preparing for and entering the business profession. Managers plan, organize, lead, and control. These functions provide a foundation for MGMT 301 and are included in all course topics and modules. Typical modules include: An Overview of Management; Strategy and Structure; Organizational Behavior; and Group/Organizational Dynamics. The overview of management focuses on the manager's role and function, decision making, ethics, and managerial oversight. Topics covered in a strategy and structure module will include culture, environmental influences, strategy, organizational structure, globalization, and innovation. Organizational Behavior focuses on how decision making is influenced by various stakeholders who have formal and informal authority and control in a business. What motivates individuals and who are leaders in an organization is discussed along with group dynamics. Understanding team processes, conflict, adaptation to change, and various levels of group and one-on-one communication is important and will be covered by reviewing traditional management strategies and structures along with discussions on current and evolving management issues. Students may earn credit towards graduation for only one of the following; BA 304, MGMT 301, MGMT 301H, or MGMT 301W. Creative projects, including research and design, which are supervised on an individual basis and which fall outside the scope of formal courses. A study of ethical conduct in organizations and how cultural differences and personal conduct impact business decisions. This course focuses on developing the ability to understand ethical conduct in business organizations. Understanding how to think about and manage personal ethical conduct is a key learning objective along with a review of how an organization fosters a culture that supports ethical behavior. Students will also learn how cultural differences impact business decisions in a global environment. Advanced examination of social, ethical, legal, economic, equity, environmental, public policy, and political influences on managerial DECISIONS AND STRATEGIES. MGMT 451W Business, Ethics, and Society (3) Focuses on the knowledge, skills, and perspectives that a manager must have in order to deal with the social, legal, ethical, and political demands in society. Ecological, ethical, and public policy dimensions of various managerial decisions are examined. This course focuses on concerns with understanding yourself as a leader in organizations-especially organizations undergoing change. Advanced examination of social, ethical, legal, economic, equity, environmental, public policy, and political influences on managerial decisions and strategies. Facilitate student's adjustment to the high expectations, demanding workload, increased academic liberties, and other aspects of the transition to college life. Bishop D., Eury J. L., Gioia D. A., Trevino L. K., Kreiner G. E., "In the Heart of the Storm: The Value of Personally Relevant Perspectives in Understanding Organizational Scandal." Academy of Management Perspectives, 2019. Eury J. L., Trevino L. K., "Promoting a Culture of Honor and Integrity in a Business School." Journal of Management Education, 2019. Eury J. L., Kreiner G., Trevino L. K., Gioia D. A., "The Past is Not Dead: Legacy Identification and Alumni Ambivalence in the Wake of the Sandusky Scandal at Penn State." Academy of Management Journal, 2018. Eury J. L., "Preparing Business Students to Speak Up." BizEd, 2017, bized.aacsb.edu/articles/2017/06/preparing-business-students-to-speak-up. Griffin K. A., Eury J. L., Gaffney M. E., "Digging Deeper: Exploring the relationship between mentoring, developmental interactions, and student agency." New Directions in Higher Education, vol. 2015, no. 171, 2015, Invited.